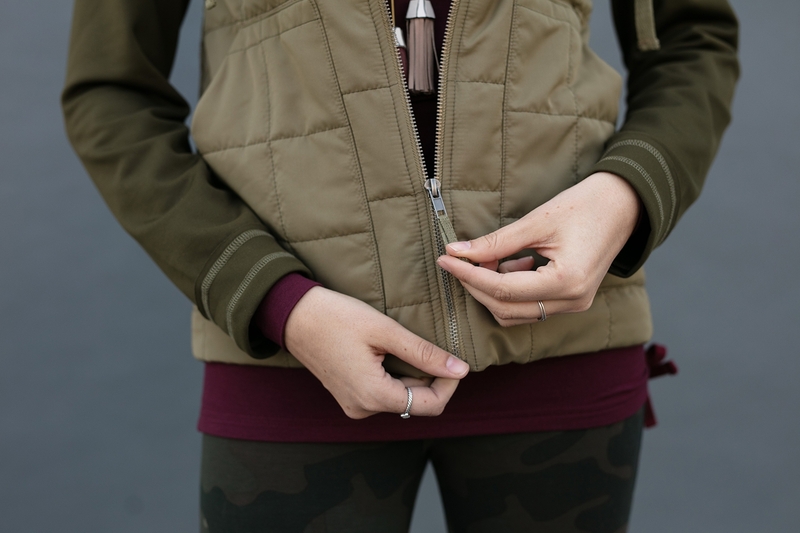 After a long hiatus, the Scout Puffer Jacket is finally back! 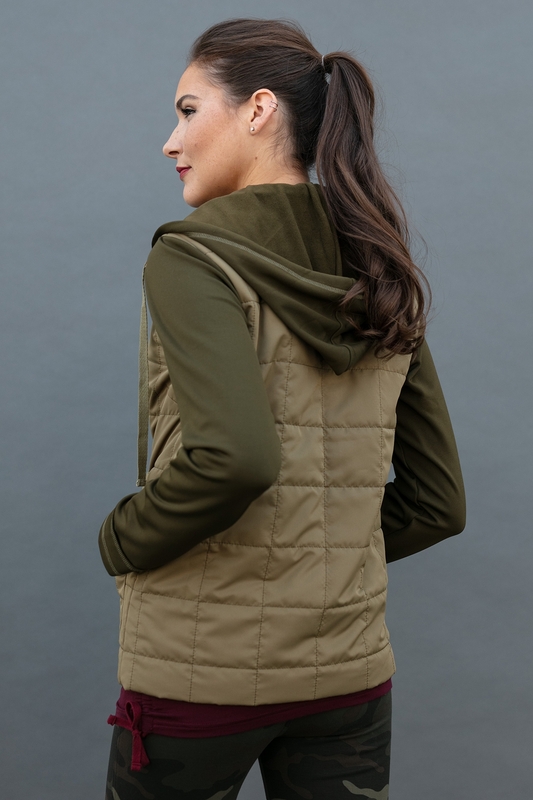 Designed to perfectly capture the look of your favorite hoodie layered under a cute puffy vest, the Scout is the perfect combination of comfort, practicality, and warmth. 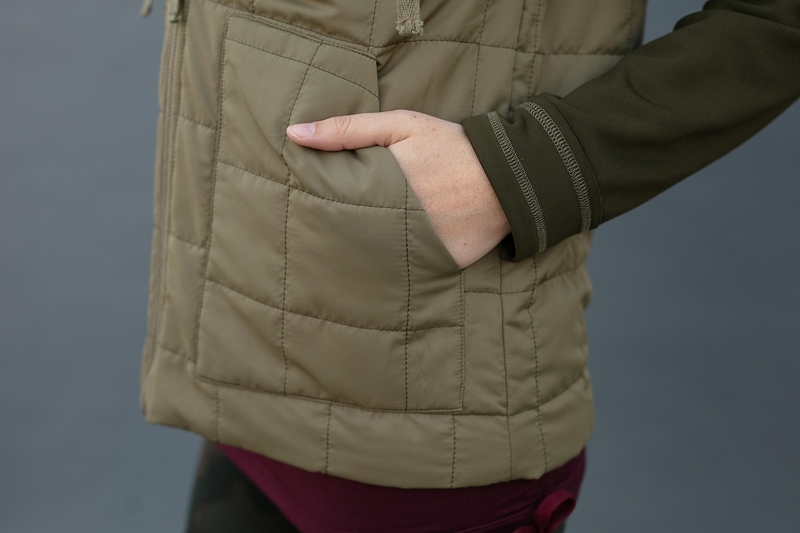 This ultra cute, medium weight puffer vest has been made a little longer and wider than our previous grey Scout version, and the sleeves are a different cozy fleece-lined poly fabric, but the body is the same style and fit. 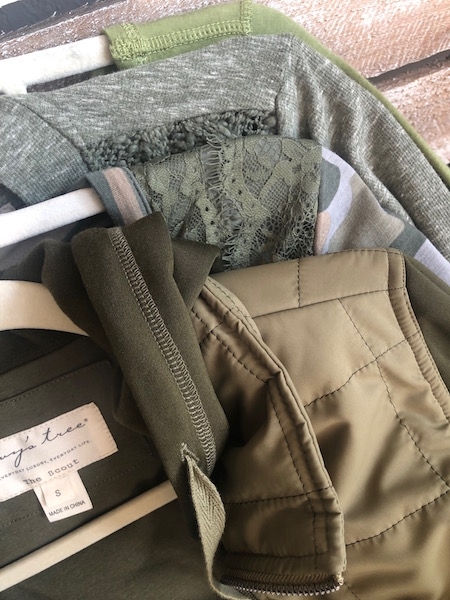 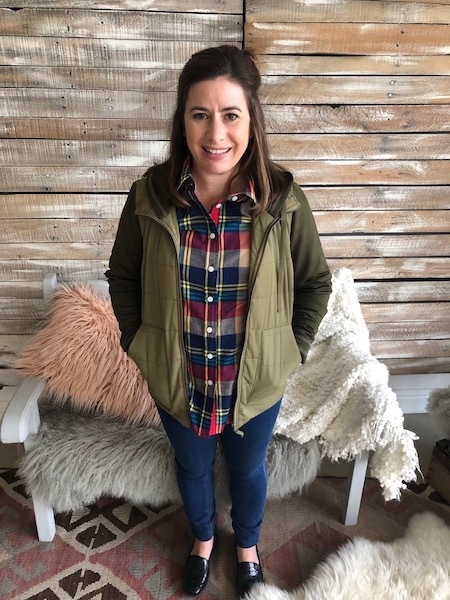 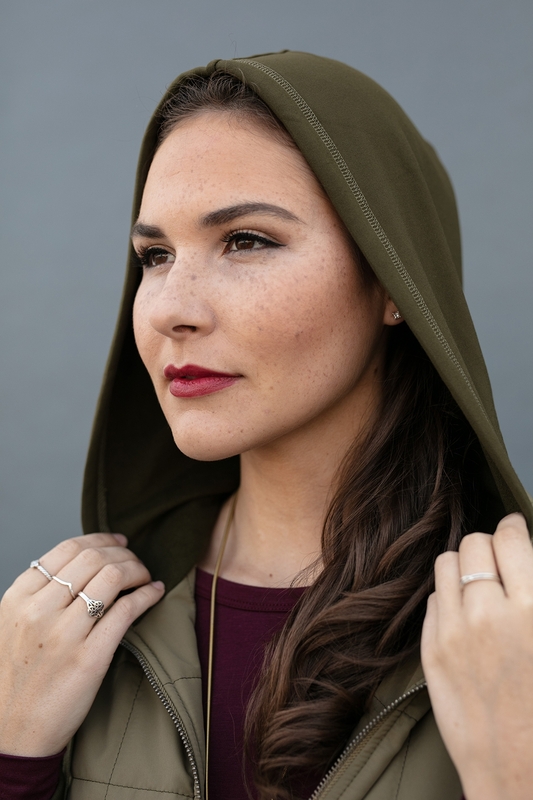 You can wear the Scout over any lighter-weight top, and the simple tan body and winter green color sleeves and hood will easily coordinate with nearly any casual outfit in your closet. 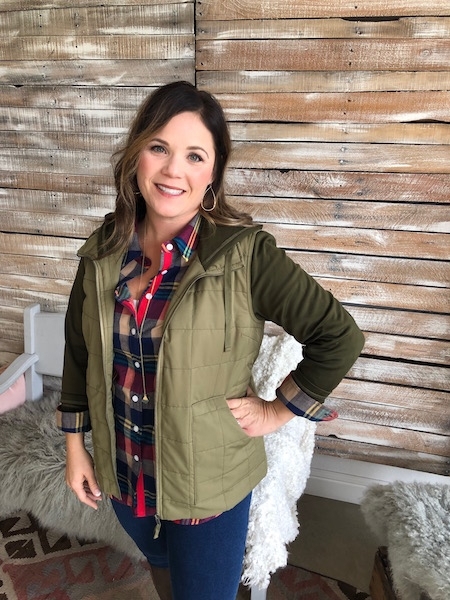 If you’re headed outside this winter, make sure your Scout is by the front door because it’s exactly what you need to face the chill! 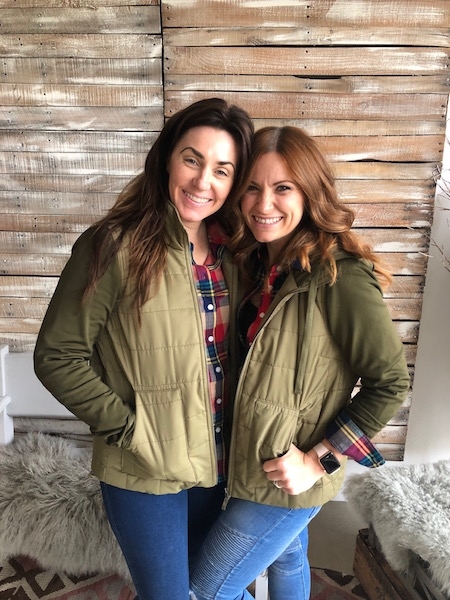 All IRL and color comparison pictures are subject to variable warehouse lighting; please refer to our professional pictures in the listing for the best representation of color for each piece.